Well, actually we love our urban poultry. We never deprive them of their life, only collect dead ones and then cook. I am a big fan of pigeon myself, but I would never eat urban pigeon, even more so if I hadn't killed it myself. The reason they are called flying rats in so many places is because they nest in urban rooftops and other areas which are not exactly clean. They eat god-knows what and they have god knows how many diseases. Wood pigeons are where it's at! The truth about Polish foods is that most of it tastes better than what it looks like. There is some stuff in jars in the Biedronka that looks like its been stolen from an autopsy...! Soup of the hawthorn - for 6 people. Take three quarters of a liter of dried hawthorn, pour some water to cover the hawthorn, add a roll, cook until mashed, squeeze it through fine filter until only the husks are left. Take half a bottle of wine, 100 grams of sugar, a little bit of cinnamon, add some water, dilute the mash, and bring it to a boil. Serve with biscuits or rusks. Wild strawberries in milk. Dress and rinse wild strawberries, leave them in colander until dry, place them in a vase adding layers of sugar and pour the milk. Whip the pint of sour cream with sugar until frothy and add it to the soup. Come on. It is all pure meat. 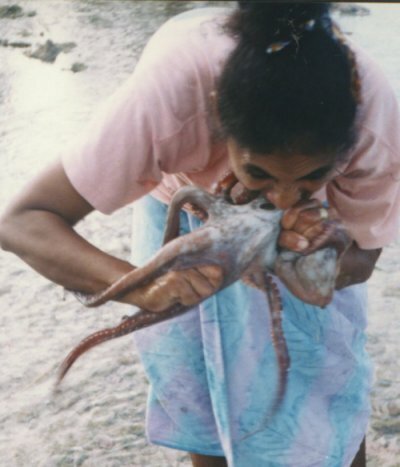 Tastes like octopus, believe me. As a guy that has cooked for me 24 years, and a US Army RANGER , I have not seen food that bad since I left the food on the stove after a god drunk. Polish food, most all, is the greatest around. Enjoy it, and give something new to you, a try, you may like it. Mike, whose payroll are you on? omg i tried them twice i felt like vomiting afterwards, shredded cow stomach, eww. Czarnina (duck's blood soup) tastes much better, but again knowing what it is restrains me from consuming it. I believe it's a regional dish Kasubian not Polish in general. There are so many other good Polish dishes besides gołąbki or Ruskie pierogi. Last time i've been to Poland ate some delicious stuffed roasted duck, with potatoes with a creamy wild mushroom sauce. Oh, Poland is a great country for game birds and quality options to complement them. Mushrooms or mushroom sauce are legendary! Even some wild cherries (czereśnie??) are not out of place as garnish and for eating if you want. Poland also excels with its vast range of side salads. You can eat like a king if you so desire. Oh, Poland is a great country for game birds and quality options to complement them. Mushrooms or mushroom sauce are legendary! 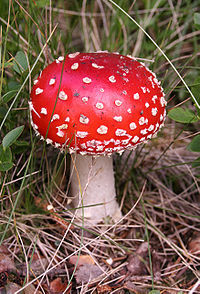 Especially if the animal is one from some private farm, all natural and the mushroom picked in a forest. Just makes the food taste so good. What I like about those options is, as you said, the richness of flavour. Don't get me wrong, standard Polish food can have a distinctive enough flavour but, in relative terms, is on the bland side without salt. A rich meal is a good treat once in a while. Have you tried maślaki mushrooms, Penn? Of course i love mushrooms, tried just about every kind podgrzybki, prawdziwki, Kanie, pieczarki. A rich meal is a good treat once in a while. True, i'm sure everyone would love to eat organic hormone free meats and veggies that haven't been sprayed with a ton of chemicals and grow in a pile of fertilizer. Most go down a treat :) :) As I said above, Poles tend to eat them with quality meat or game birds. What would you pair them with in America? Funny you mention that, Penn. There is a scandal brewing here whereby produce is not washed well enough after spraying them with fertilisers. That's for another thread, though. Oh, do you get łazanki across in the States? What would you pair them with in America? You can substitute them for meat if you are a vegetarian because they have a mild meaty flavor. They are good sauted in olive oil with some parmesan cheese. They work well with green beans. Rice. Pasta, so long as there's a sauce and they are cooked. They taste awesome in a buttery sauce, served with baked potatoes or steak. Anytime you want the hearty flavor, throw in a few mushrooms. They are found in cans of creamed soup, too, or you can make your own with mushrooms and cream. You can also put them in a salad. They go with so many things. I eat mushrooms Polish style, with for instance cubes of cooked beef and the sauces can be bought in any Polish store. I hardly ever see Americans in general eating mushrooms, supermarkets don't have a wide variety either, unless it's an Asian (Oriental) store, Asians seem to love them. Yes. Polish American stores, some in big Polish communities like NY or Chicago are huge, and you can buy just about anything from Poland from Knorr or Nałęczowianka to furniture. Penn, diced beef would be tasty with mushrooms, right enough! How about with ribs (żeberki)? In almost 7 years of having lived in Poland and near a milk bar that serves them, I haven't even tried them yet. A bit silly but there we go. Ribs are good with a sweet and sour sauce but I imagine a mushroom sauce to be decent with them too. I've seen an increase in mushroom variety at the local market. Some varieties are expensive, though. People are discovering them more and more. They taste delicious with chicken which is a popular food at the moment. Mushroom farming is also popular. People grow them in boxes in their closets. It's cost effective that way. oh dat ist not Polish, dat ist an import from die Deutsche Chemicals Inc... even if they manufacture it here. How about with ribs (żeberki)? In almost 7 years of having lived in Poland and near a milk bar that serves them, I haven't even tried them yet. They're ok you haven't missed much. I prefer Ribs American style BBQ. As for a side to them someone introduced me to potatoes and this cheddar cheese, sour cream,dill and garlic all melted together topping. Really good. But that's American food, different thread lol. And what do you think about cheese and mushroom combinations? Poles like both but I don't see them eaten together. It smacks more of macaroni with a sauce formed from powder in a sachet. Mushroom farming is also popular. People grow them in boxes in their closets. Have you got boczniaki? They can be grown at home. And what do you think about cheese and mushroom combinations? That just sounds like an extended stay on the toilet lol. Do you eat 'buchty' in the States, Penn? or for the Siberians, they eat them after cooking for some 8 or 9 hours. 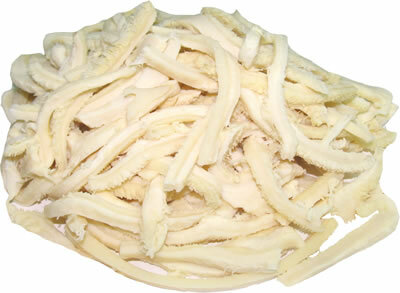 Boczniak is Pleurotus, see the link in my post above. Very edible. However, I haven't seen any of those here. I have seen lots of Button Mushrooms. They are popular, so's Portobello. Then there's a type that look like Button Mushrooms, except slightly larger and brown. I don't know their name but I often buy them. Never had them is the States or in Poland. Have you tried Parowce in Poland, remember having them in grade school. Dough cooked in water, served with whipped sour cream or diced strawberries mixed with sugar. We ate it for breakfast. Mix the yeast with milk. Let stand until they grow. Add milk, eggs, sugar and flour, a little salt to taste and knead the dough, let stand until grow. Re-knead, from the dough do the balls or squeeze them with a glass. Hang on for a moment to let it grow. Pour water to a wide, low pan, put gauze on it, tied and boil the water. When the water starts boiling, apply the noodles on a gauze, cover with the bowl or another pot and steam of approx. 7 minutes. Parowce of grandma serve with whipped cream or with strawberries mixed with sugar.